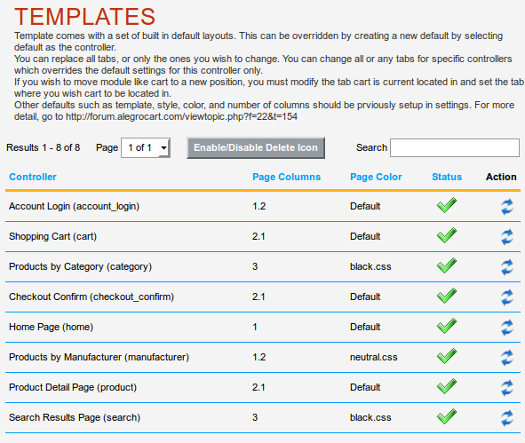 Want to quickly see how the open-source software AlegroCart works? You'll find a free and updated demo installation of AlegroCart here. We are currently updating the AlegroCart demo. Please check back shortly. There will be a new version up soon. 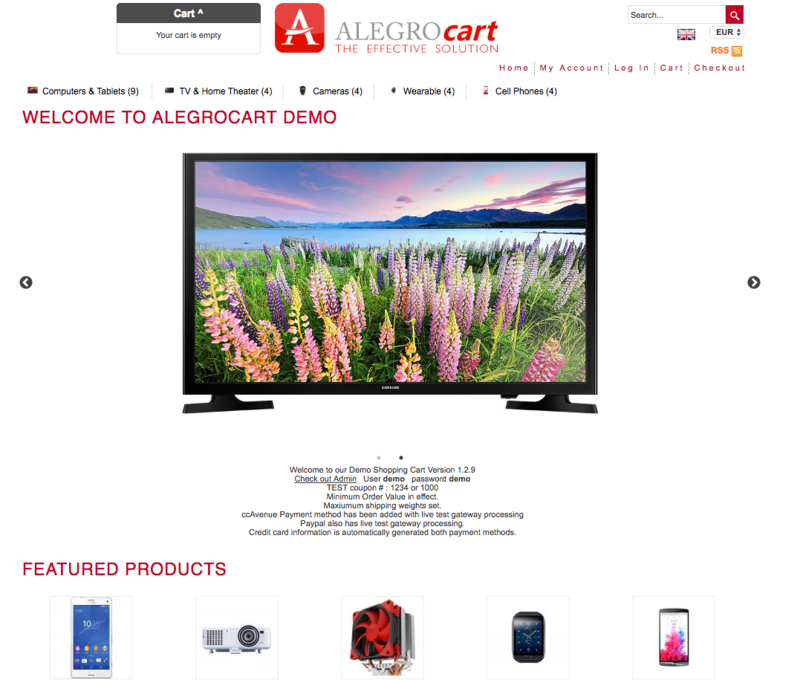 AlegroCart is a free open source ecommerce shopping cart solution based on MVC Framework. 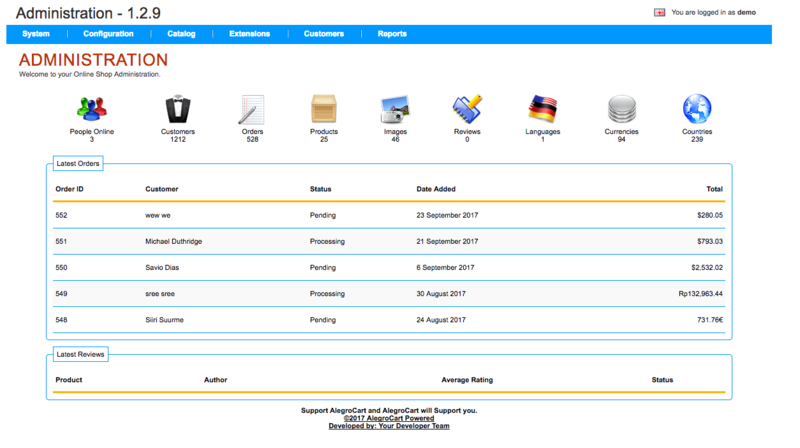 You can download AlegroCart using the link below and go through the installation process and set up your own AlegroCart demo. Some examples of features include different payment methods, shipping methods, multiple templates and themes to choose from and lots of extensions that extend the current features. 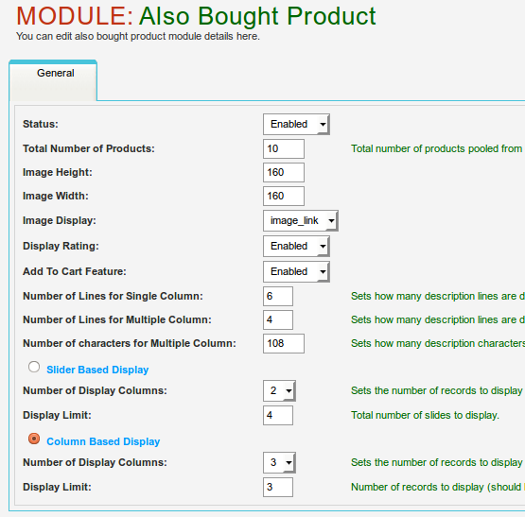 The screenshots below will give you a preview of some of the modules available to expand the features and get more from your AlegroCart demo. For example, the Manufacturer Slider displays the logos/images of all manufacturers with direct links to manufacturer pages.